Can-am Commander Radiator Relocation Kit All Models $240.00 FREE SHIPPING! 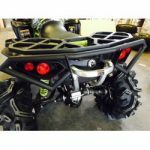 Can-am Renegade 500/800 (Gen1) 06-11 Rear Bumper $140.00 FREE SHIPPING! Can-am Renegade 500/570/800/850/1000 (Gen2) 2012-up Rear Bumper$140.00 FREE SHIPPING! Can-Am Maverick 1000 (ALL Years) Radiator Relocation Kit w/ Screen (Red) $199.00 FREE SHIPPING! Can-Am Maverick 1000 (ALL Years) Radiator Relocation Kit w/ Screen (Silver) $199.00 FREE SHIPPING! Can-Am Maverick 1000 Radiator Relocation Kit w/ Silver Screen $199.00 FREE SHIPPING! 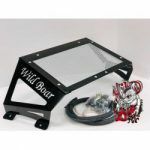 Wild Boar Can-Am Renegade Gen 2 Rear Bumper – Free Shipping!